I don’t know if you are into personality types but there are quite a number of them around. One of the ones I am most familiar with is the Lion, the Beaver, the Golden Retriever and the Otter - which can also be called Powerful, Perfect, Peaceful and Playful. Each has a different personality trait and the one I want to focus on today is “the Otter” or “Playful.” This is the fun one, the one that is the life of the party, the extrovert. They make a good day great and pick you up when you’re down. You could call them “energisers”. 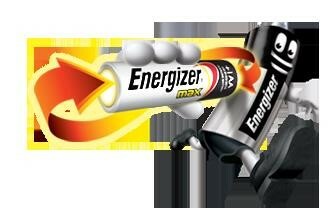 Like the batteries, they give you energy! These friends have a remarkable ability to know what spins your wheels and take you there, usually with a whole lot of other folks on the way. You are more likely to smile and laugh with these guys. Then you will find your natural endorphins are released. Endorphins are pleasure chemicals released in the brain. These chemicals interact with the receptors in your brain that reduce your perception of pain. Endorphins also trigger a positive feeling in the body, similar to that of morphine, so it’s a desirable result. So if you don’t have this natural energy source in your friendship group, find the life of the party and introduce yourself. Then you can begin to share the energy! See if you can join in the positivity and make sure you tell them and show them how much you appreciate them. Now if you just so happen to be that “Playful/Otter” type, then look for those who are feeling down and work your energising magic! You could be such a blessing and make a friend for life.